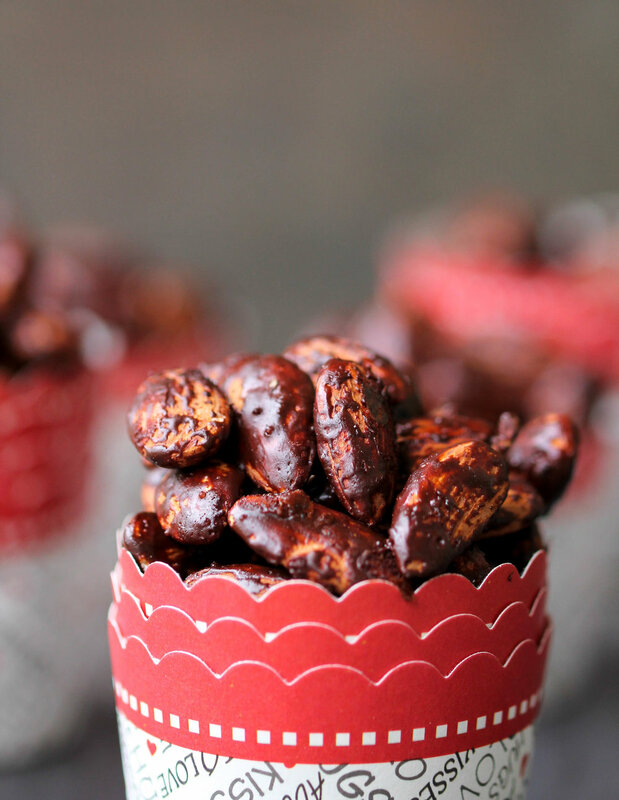 Roasted Almonds with Cocoa - just 3 ingredients, 15 minutes, one pan to make an easy, nutritious snack! Naturally vegan & gluten-free too. It simply requires 3 ingredients, 15 minutes of your time, and a sheet pan which I am sure is doable for anyone. Like most nuts, almonds are an excellent option for snacking - it is loaded with monounsaturated fats (good fats), antioxidants, protein, micronutrients such as vitamin E, manganese, and magnesium. So basically eat almonds, the recommendation is to eat one oz // 28 grams// small handful but really who can stop at a small handful? Especially not when it is roasted and covered in cocoa + sea salt. 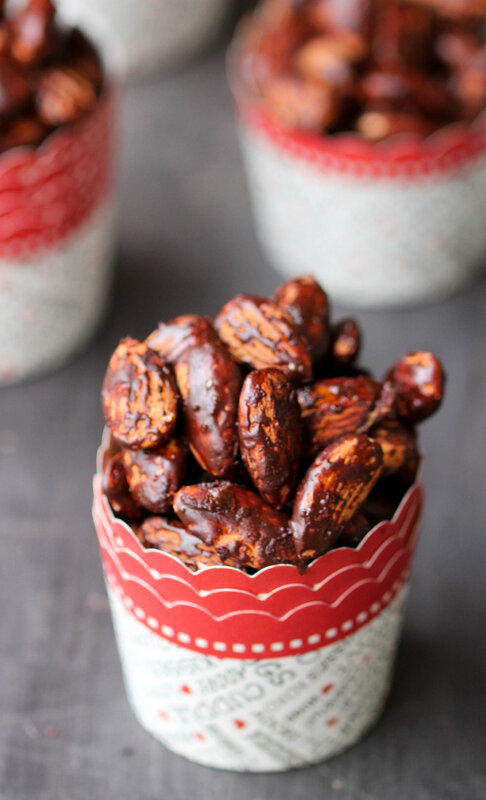 Instead of getting wanna be 'healthy' snacks from the vending machine - make a big batch of Roasted Almonds with Cocoa and carry it with you during your class, work, pre workout, or just simply munch on it. Pro tip: I have found that storing them in the refrigerator keeps them crunchy...and same goes for granola. I don't know if it is just coincidental but it stayed fresh and crunchy when stored inside an airtight glass jar in the refrigerator. 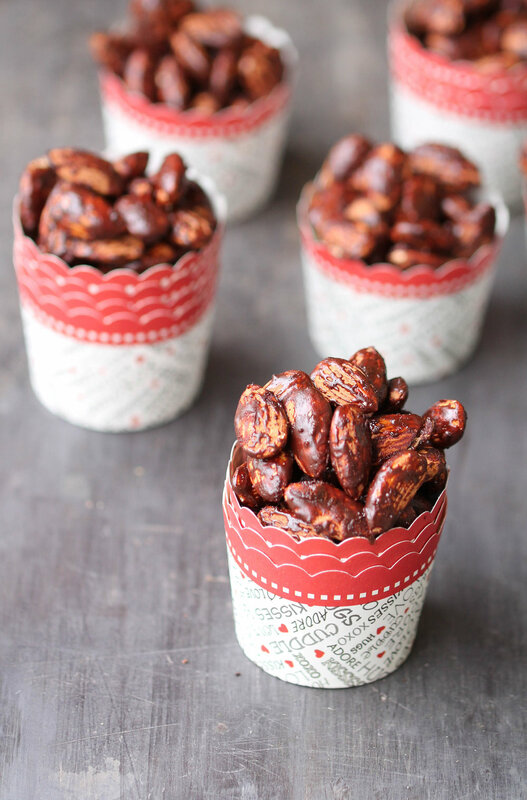 In a bowl, combine almonds, liquid sweetener, cocoa powder and mix everything together until almonds are well covered. Spread almonds on a baking sheet, sprinkle sea salt over it and bake it for 10-12 minutes, stirring it every 3-4 minutes. Remove from the oven and let it cool down for few minutes and enjoy. Keep it covered in an airtight container in the refrigerator for better texture. Alternatively, I have seen recipes that mixes coca powder at the end...if you want to take that route, do not mix cocoa in the initial process. You add cocoa only once you remove almond from the oven immediately and allow it to cool down. 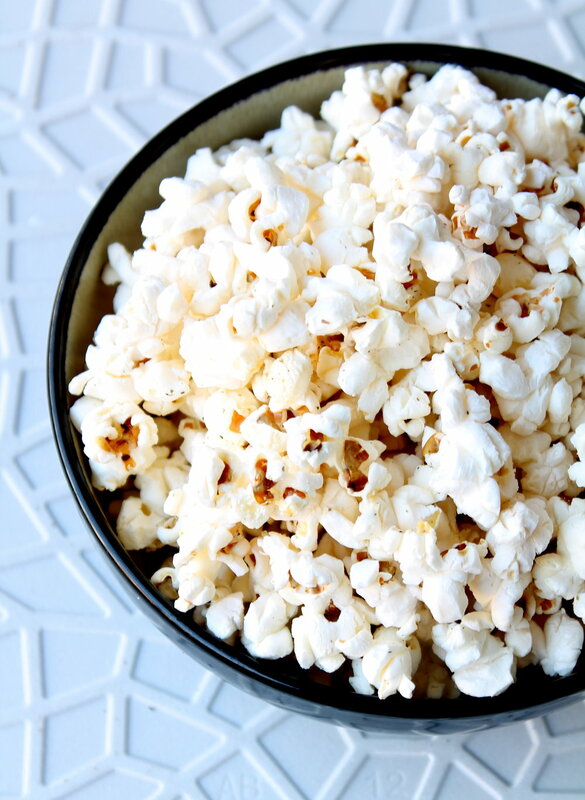 If you are into snacking, here are few other sweet + savory inspirations. Why Listening to your Body is Important?